Archdiocesan pilgrims will wear shirts featuring this logo on the back. Two days after President-elect Barack Obama’s inauguration, pro-life supporters from the Archdiocese of Indianapolis and throughout the nation will participate in the 36th annual March for Life on Jan. 22 in Washington, D.C.
March for Life organizers indicated on their Web site that they expect at least 200,000 people to participate in the peaceful, prayerful, pro-life rally and march to demonstrate their opposition to legalized abortion during all nine months of pregnancy. The march is particularly timely this year because the nation’s 44th president has pledged his support for the Freedom of Choice Act (FOCA), which would repeal legal restrictions on abortion and could be scheduled for a vote in Congress this year. Archbishop Daniel M. Buechlein will join about 865 high school youths, young adults and adult chaperones from the archdiocese—including seven priests and 18 seminarians—on the pro-life pilgrimage to the nation’s capital. “Life is Worth Living … and Defending” is the theme of the 2009 archdiocesan pilgrimage for life. Servants of the Gospel of Life Sister Diane Carollo, director of the archdiocesan Office for Pro-Life Ministry, said 320 teenagers and chaperones from central and southern Indiana will depart on six buses from Indianapolis, Lawrenceburg and Richmond on Jan. 20 to participate in the archdiocesan pilgrimage for life. 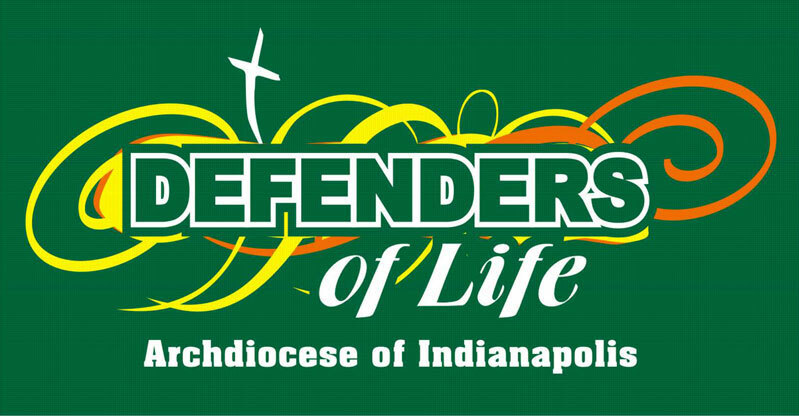 Sister Diane said 480 high school youths and chaperones from the New Albany Deanery, Indianapolis North Deanery, Batesville Deanery, Roncalli High School in Indianapolis and St. Monica Parish in Indianapolis will also participate in this year’s pro-life demonstration. She said 65 young adults traveling to Washington on a chartered flight with Archbishop Buechlein and Father Rick Nagel will join the archdiocesan pilgrimage group for the National Mass for Life at 7 p.m. on Jan. 21 at the Basilica of the National Shrine of the Immaculate Conception and a 9:30 a.m. Mass on Jan. 22 in the crypt church of the basilica before participating in the March for Life. Sister Diane said Father Jim Heyd, formerly associated with Priests for Life and now Cardinal Francis George’s liaison to the pro-life movement in the Archdiocese of Chicago, will join six priests and a lay volunteer from central and southern Indiana as pilgrim leaders on the archdiocesan buses. Joining Father Heyd on the pilgrimage are Fathers Robert Robeson, Rick Nagel, Todd Riebe, Thomas Kovatch, Aaron Jenkins, Lucas Amandua of Arua, Uganda, and Franciscans of the Immaculate Father Jacinto Mary Chapin of Bloomington. The high school youths will begin the pro-life pilgrimage with Mass at SS. Peter and Paul Cathedral, 1347 N. Meridian St., in Indianapolis at 5 p.m. on Jan. 20 then travel by bus overnight to the nation’s capital. During the pilgrimage, the high school youths will also travel to Arlington National Cemetery on Jan. 21 for a prayer service, and several teenagers will lay a pro-life wreath on the Tomb of the Unknown Soldier during the formal military ceremony. Also on Jan. 21, the teenagers will have time to visit the Smithsonian Air and Space Museum near the U.S. Capitol. After participating in the National Mass for Life on Jan. 21 in the basilica, they will spend the night at the Dufour Center Gymnasium at The Catholic University of America. This year marks the third time that the archdiocesan pilgrims have gathered for a pro-life Mass in the crypt church at the basilica before the Jan. 22 march. Archbishop Buechlein will be the principal celebrant for that Mass. “Those participating in the March for Life from the archdiocese realize that the Freedom of Choice Act would silence Christians and alienate them from the American political process,” Sister Diane said. “Let us all pray that President-elect Obama, his administration and those in Congress who support abortion on demand will wake up to the reality that the majority of Americans oppose legalized abortion.